familiar world into a new, unmapped territory. 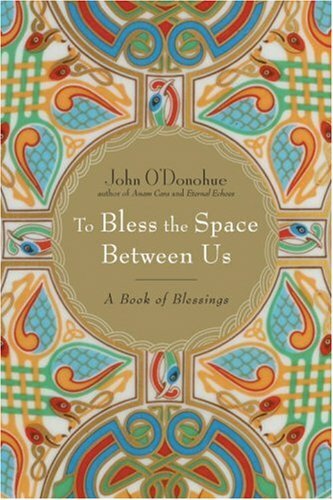 Most profoundly, however, O'Donohue explains "blessing" as a way of life, as a lens through which the whole world is transformed. O'Donohue awakens readers to timeless truths and shows the power they have to answer contemporary dilemmas and ease us through periods of change. John O'Donohue was awarded a Ph.D. in philosophical theology from the University of T bingen in 1990. He is the author of several works, including a collection of poems, Echoes of Memory, a book on the philosophy of Hegel, Person als Vermittlung, Conamara Blues, and the international bestsellers, Anam Cara, Eternal Echoes and Divine Beauty. His latest work, Benedictus: A Book of Blessings will be published in 2007. John travels widely in Europe and the US, where he lectures and holds workshops. He lives in Ireland.